To go with the tacos I wrote about on Monday, here are two more great mezcal cocktails. La Otra Palabra comes from John McEvoy's Holy Smoke! It's Mezcal! book, which I wrote about recently. This a great cocktail for showing how well mezcal goes with yellow chartreuse. 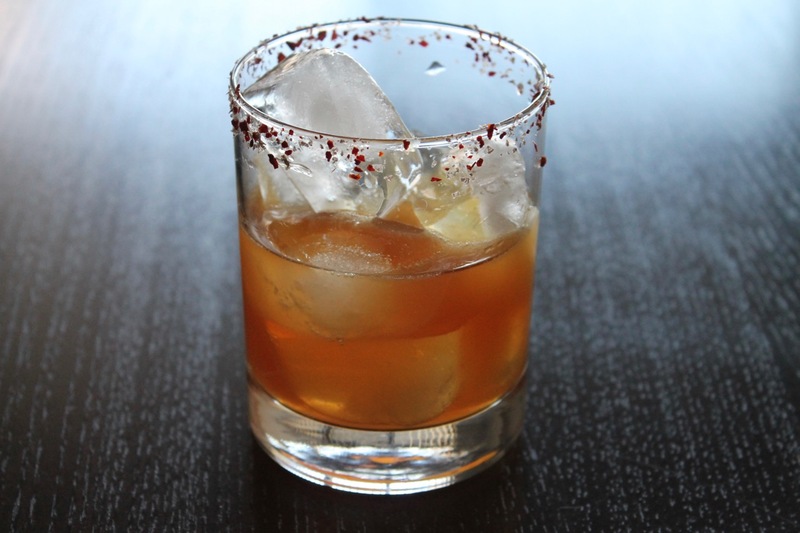 The other drink, which I saw on the Imbibe website, shows how well mezcal goes with amari and spicy flavors. The original recipe calls for Cynar; I used Averna--both are good examples of Italian amari. 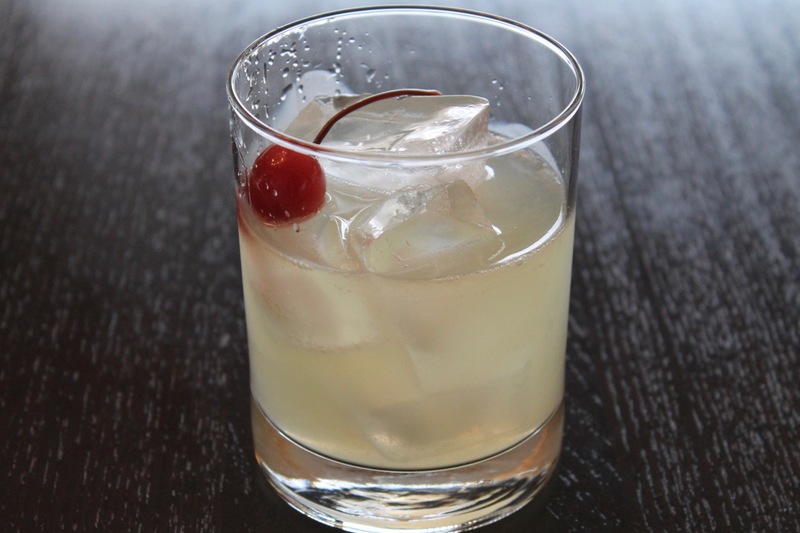 Combine mezcal, Chartreuse, lime juice, agave and maraschino liqueur in a cocktail shaker with ice. Shake until cold, then strain into a rocks glass with ice. Garnish with cherry. Combine mezcal, Averna, lemon juice, agave and orange bitters in a cocktail shaker with ice. Shake until very cold. Run the spent lemon rind around the rim of the glass to moisten it. Spread the smoked salt and Aleppo pepper on a plate and rum the moistened rim of the glass through the mixture to make a spicy-salty rim on the glass. Fill the glass with ice, then strain the drink into the glass.